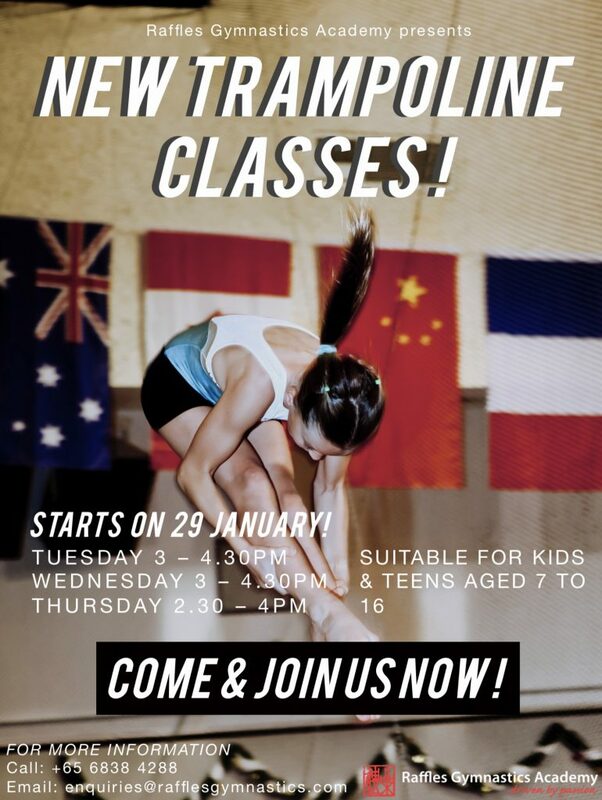 Raffles Gymnastics Academy offers a wide range of recreational and competitive gymnastics programmes which cater to children and adults. Personalised training programmes specially for those who want exclusive and result-oriented services to achieve their fitness and wellness goals. For kids and adults, who are looking for a fun and exciting environment to learn gymnastics. Preparing the gymnast for competing both in the local and international arena. Exclusive Personal Training programme designed and customized for each of our client. We have a well-equipped and air-conditioned 12,000 square feet gymnasium at Upper Bukit Timah. Our equipment include 5 bar stations, numerous high and low beams, safety belts above bars for new release moves, a bungee foam pit, spring floor, power tumbling rod floor, 50 feet acro trampoline, ballet area and rock climbing wall.